Get your child to YogaBugs. Unlike any other children’s activities YogaBugs is specially designed to not only give your child an enjoyable physical work out but also to improve their concentration. They will learn loads, have fun and develop their concentration skills. By using the yoga postures to tell stories, YogaBugs are able to engage children on a variety of levels and develop many skills. Play ‘Beat The Clock’. Deadlines get things done. If a task has to be completed in a set time this will help your child focus. They way to make it fun is to turn into a game. As a general rule assume your child can concentrate without a break for one minute per year of age. So if your child is 5, set the clock to 5 minutes and ask them to complete the task before the alarm rings. Avoid overwhelming your child. If your child is whisked from activity to activity they will never settle. Choose a couple of activities and allow for downtime in between. This will help them focus and will produce better results. Remember quality over quantity. Eat the right foods. Eating healthy food will give your child the energy they need to focus for longer. Avoid foods that are high in sugar as these will lead your child to crash. Remove all distractions. If you want your child to focus make sure all diversions are out of the way. If the television is off it ceases to become an option. There is no such thing as multi-tasking only multi-failing. To find your local YogaBugs class or to attend a free taster session please visit: www.yogabugs.com. YogaBugs – Stretching the imagination. We pride ourselves on helping to educate children along with their parents/carers into the importance of living a healthy lifestyle – eating right and getting enough exercise, no matter how old they are. We offer diet and nutritional information to our parents along with classes that can be done together at home click here to view a sample. Researchers from UCL suggested in their study that it is vital to make sport and other activities more attractive to children, in particular girls. And that is the beauty of YogaBugs; our classes bring stories to life through specially developed moves inspired by yoga. Combining fun with exercise, children from a young age go on wild adventures where they may roar like a lion, fly like a bird or blast into outer space! Dr John Middleton Faculty of Public Health said;“We need our children to grow up to be fit and healthy adults, not just because it’s what any civilised society would want for its children, but it’s also best for our economy too”. Ofsted’s chief inspector Sir Michael Wilshaw has claimed that too many nurseries are failing to ensure children are ready to learn when they get to primary school. There is no doubt that nurseries are feeling the pressure following comments from Children’s Minister Liz Truss who has said repeatedly that she wants to see more teacher led sessions in the nations nurseries. Appearing on Radio 4’s Today programme Sir Michael Wilshaw said, “The corollary of not preparing children well for school is that they don’t do well in reception and, if they don’t do well in reception, they don’t get on at key stage one, they find it difficult to read at seven, they fail at the end of primary school and that failure continues into secondary school”. He went on to add that the best provision was in “school-based nurseries and school-led nurseries, because head teachers can track the progress of children in those school-based nurseries all the way into reception and beyond and make sure they do well”. The comments and proposals by Sir Michael and Liz Truss have angered many childcare experts who already argue that early education is damaging children by pushing them too hard at a young age. Appearing on BBC Breakfast News Beatrice Merrick from the British Association Of Early Childhood Education said “We must not rush formal education too early”. It is a fierce battle and one that is set to rage for the foreseeable future. Ground breaking children’s activity YogaBugs however may have the answer. YogaBugs is a teacher led children’s activity, that is all about children playing, using their imaginations and having fun. In a YogaBugs session children go on wild adventures, using adapted yoga poses. YogaBugs can work with children from the moment they can walk and so are ideal to provide a solution to nurseries that would please both Ofsted and the British Association Of Early Childhood Education. YogaBugs is all about learning through play. The YogaBugs sessions are crafted by leading educational consultants alongside top yoga gurus. Working with children both emotionally and physically, YogaBugs not only provides children with fun energetic exercise, it also improves listening skills, concentration, literacy, self-esteem and social interactions. Fully compliant with Ofsted and the new Curriculum 2014, YogaBugs could be the solution for many nurseries across the UK. As a parent it is very easy to get frustrated because you feel your child is not listening. Sometimes the reason for the childs none compliance is rather straightforward, they are more interested in what they are watching on television or playing on their games console. Of course other factors can also affect your childs ability to listen, such as how long they have already had to concentrate for and the environment they are in at that particular time. As a parent there are certain strategies that you can adopt to increase your childs ability to listen in all circumstances. First of all, find your local YogaBugs class. YogaBugs sessions are especially designed to develop childrens listening skills. YogaBugs teaches children to concentrate for longer periods of time and actively encourages compliance with spoken instructions. Of course for the children they are simply having loads of fun going on a wild adventure using adapted yoga poses. There are also lots of strategies you utilise at home to help develop your childs listening skills. 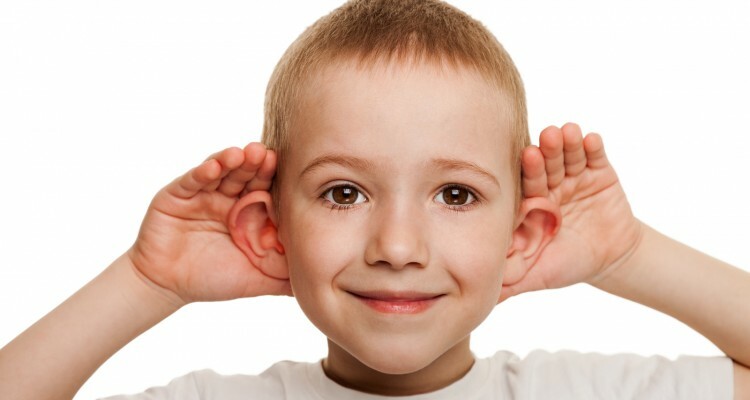 Always give lots of praise for good listening – Children love positive reinforcement. If they learn they can win your approval simply by listening then you will find them more willing to be compliant. Make eye contact – Even though you are busy, if it is important that your child listens to you then you need to demonstrate this importance. Try and avoid talking to them across the other side of the room while you are focussed on a a different task. Stop what you are doing and ensure you have made eye contact. This will help them to engage better with what you are saying. Be specific when giving instructions – Give your child the best possible chance of understanding by being clear with your instructions. Make clear the behaviour you want from your child and the time frame you want it in. There is no silver bullet to developing your childs listening skills but if you take this 360 degree approach then over time you will without doubt see huge improvements.